Everything from pots and pans to stand mixers, cookie sheets and food storage containers gets thrown into lower cabinets. 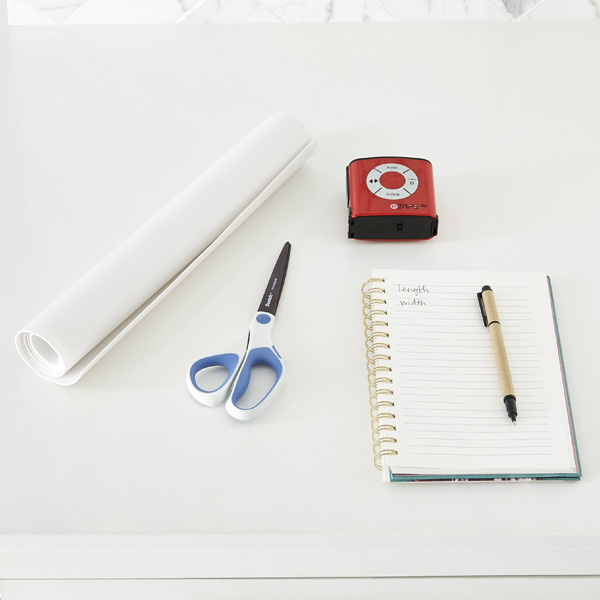 Here's how to organize it all. You're going to be taking everything out of your cabinets. Make sure your counters and kitchen table are clear so you have a place to sort though everything. Once your cabinet is emptied, wipe down the shelves with a good multipurpose cleaner. Take everything out of your cabinets. Then decide what you want to keep in each cabinet. 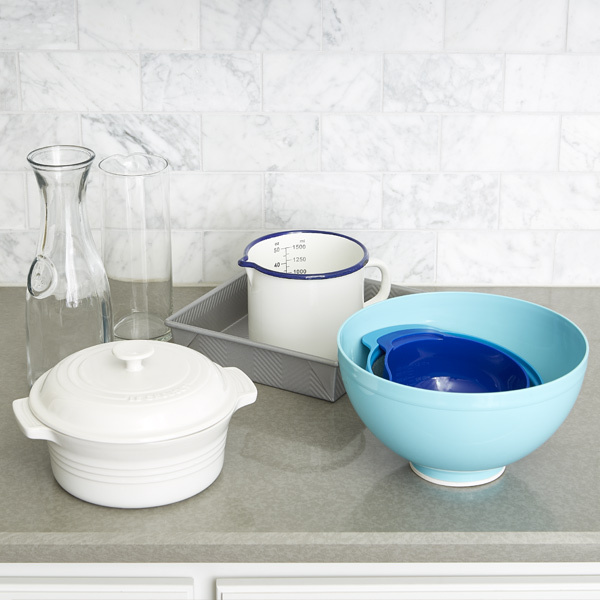 Pots, pans and baking sheets are most often stored near the stove. 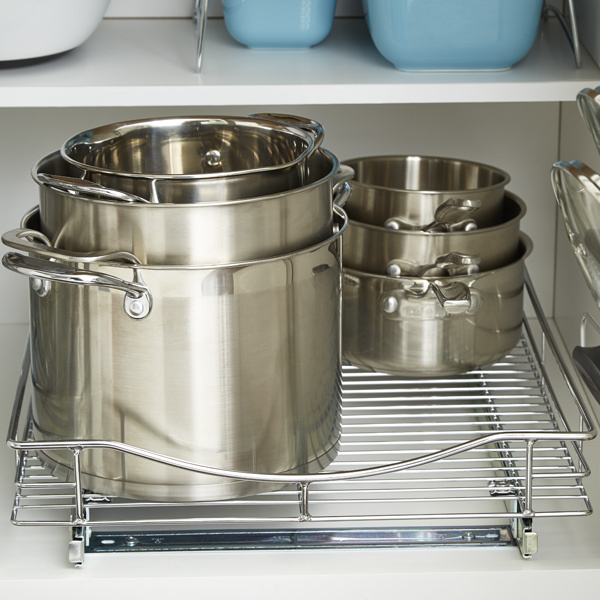 Appliances should be stored near a prep area and food storage containers in under-island cabinets or near the dishwasher. Use a tape measure to measure the width, depth and height of your space. Don't forget to measure your actual cabinet door opening. 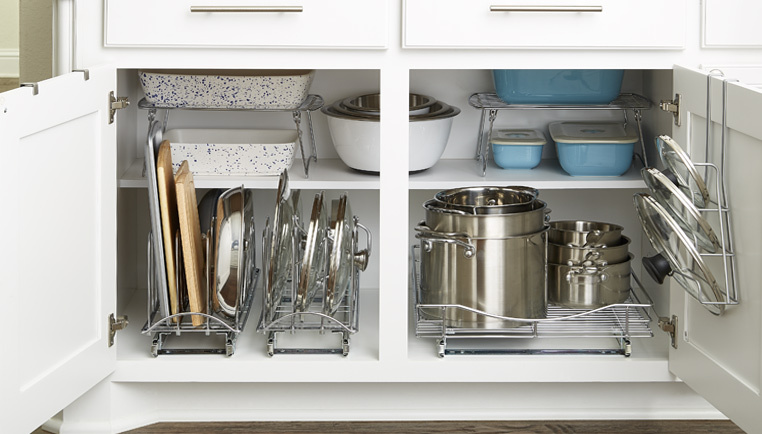 Line all of your cabinet shelves with a heavy-duty, water-resistant shelf liner that can easily be wiped clean. 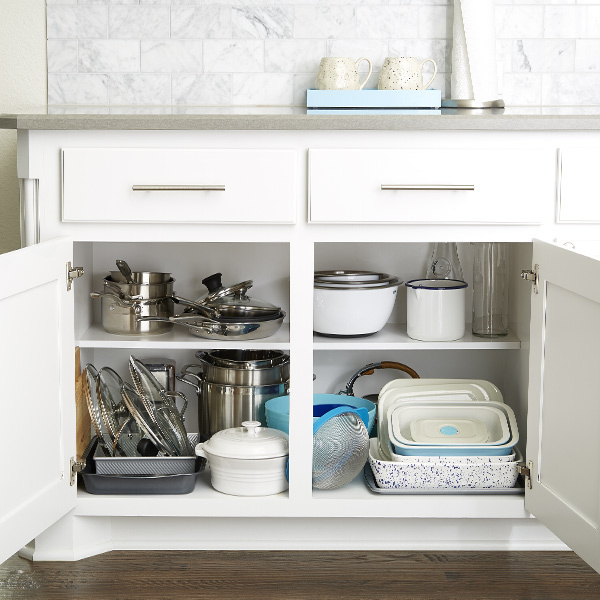 No matter what you're storing in your kitchen cabinets, you'll want to make the most of your vertical space. Many lower cabinets have a half shelf for this very reason. 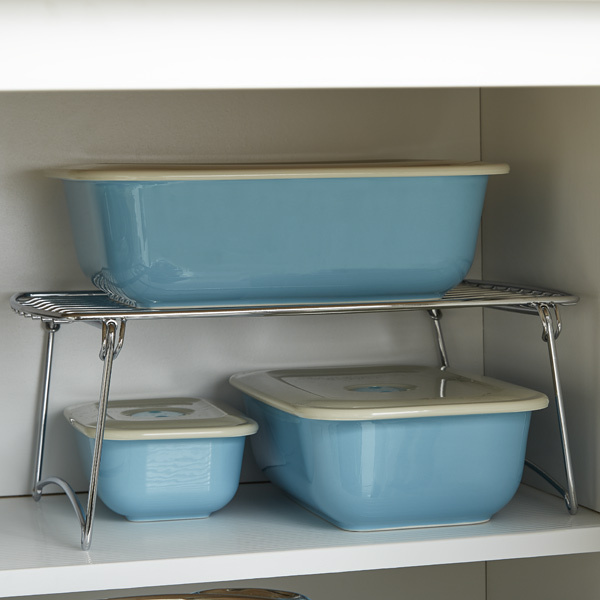 Make the most of this space by using cabinet shelves to keep baking dishes separate. 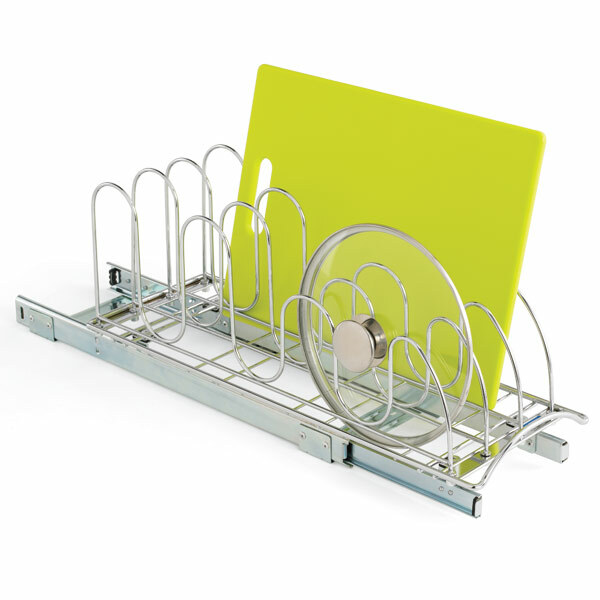 Commercial-grade pull-out cabinet organizers are designed for holding heavy cookware and appliances, like your mixer and large pots and pans. And they make it easy to get to items in the back without having to shift everything around every time you need your largest stock pot. 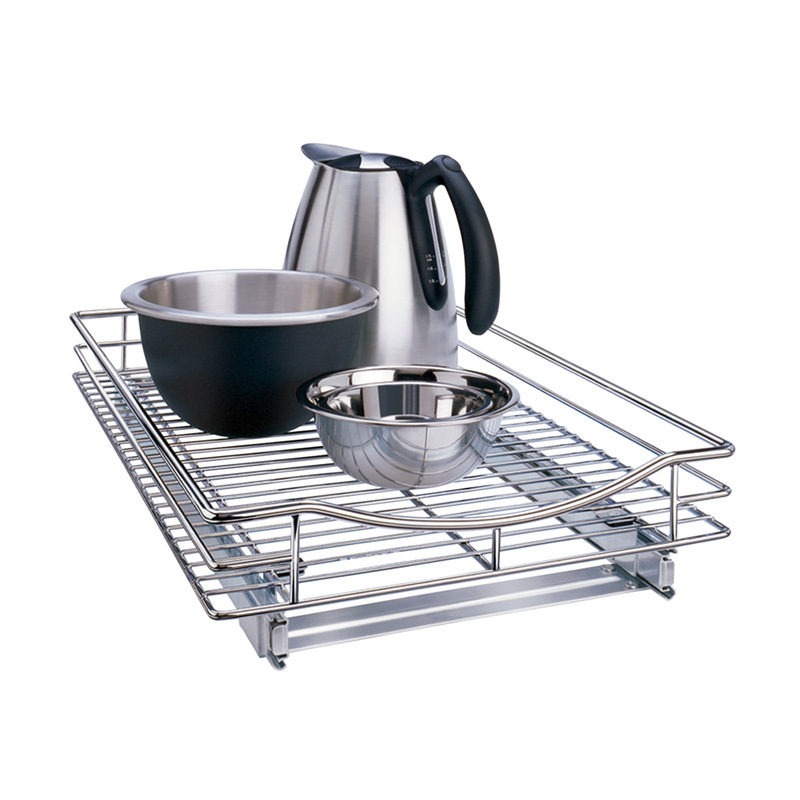 Pot lids are also things that tend to become jumbled in lower cabinets. 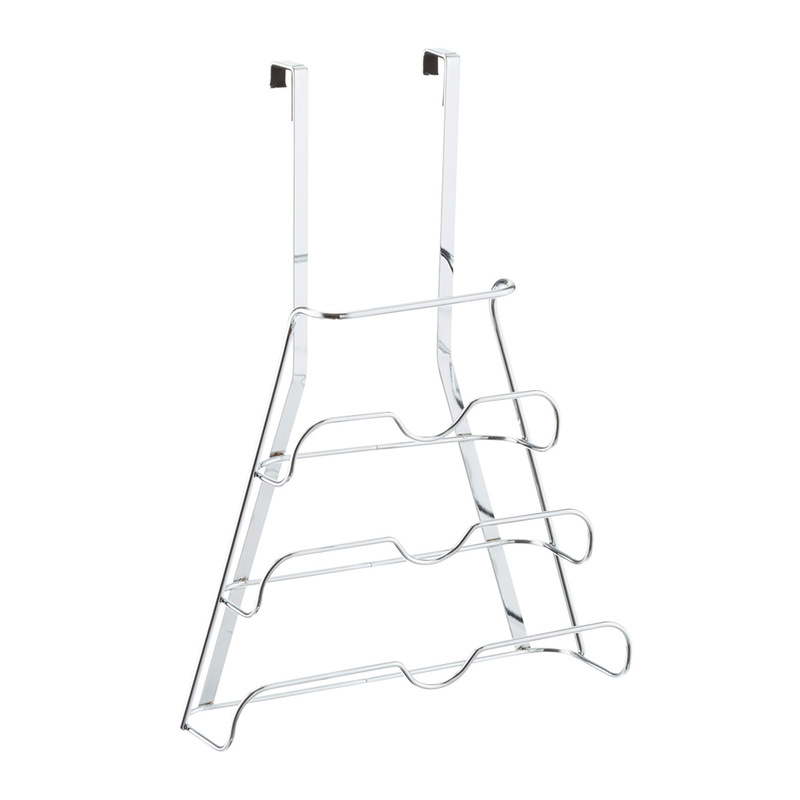 Two-tier sliding cabinet organizers can also help make good use of vertical space.